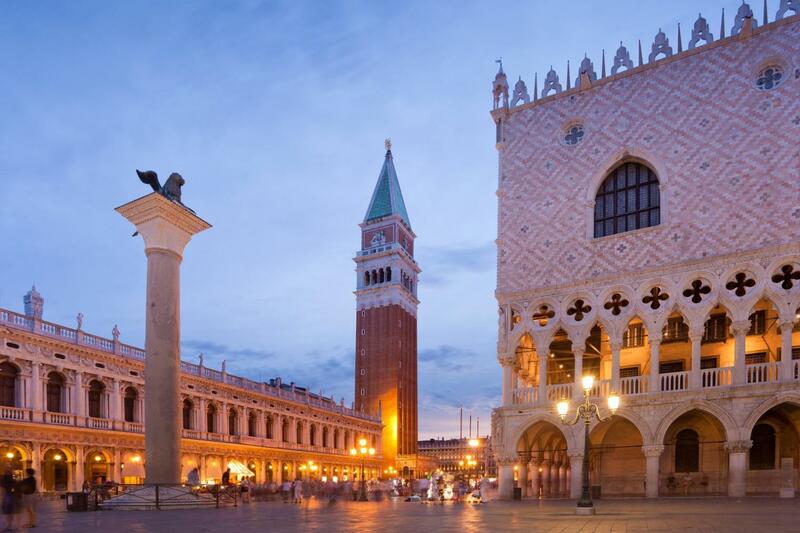 Book your Tour of Venice and St Mark’s to visit the heart of Venice with its impressive St. Mark’s Square, Doge Palace, Bridge of Sighs, Basilica of St. Mark with its splendid Golden Pall with over 2000 precious gems. In order to became the real greatest master of Venice, you will be provided with an expert private guide ready to explain you everything about it. Being it a private tour, you are totally free to customize it at your own peace... What are you waiting for? 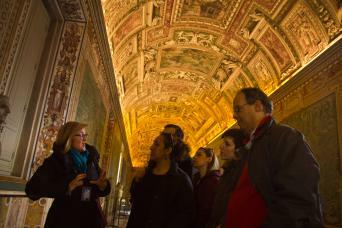 Our Tour of Venice and St Mark’s Church is simply perfect for anyone; book it now! With our Tour of Venice and St Mark’s Church you get the best overview of the city in just two hours! You will be provided by one of our private guides, ready to tell you everything you need to know to become Venice's greatest expert! 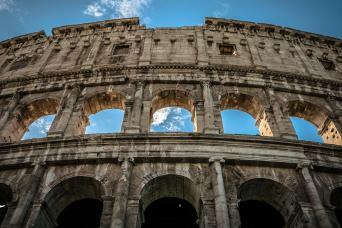 You will also get our special pre-purchased tickets, so that you will be totally able to skip the lines to all the places you will see during the tour... Do not miss the unrepeatable chance to hit the most important sights of the most romantic city in Italy! Let's introduce you to the city. 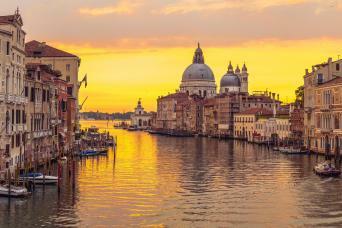 Famous for being located on a group of more than 100 small islands separated by canals and linked by world famous bridges, some areas of Venice have been listed as World Heritage Sites. The Republic of Venice was very influential and powerful powers during the Middle Ages and Renaissance, being also one of the areas where the Crusades and the Battle of Lepanto took stage. It was a very important center of commerce (especially grain, silk and spice) and it was home of many artists of the 13th century up to the end of the 17th century. This is why Venice had been such a wealthy city throughout most of its history, and this is perfecylt displayed in its architecture. Your tour starts by meeting your guide in St Mark's Square. It is the main square in Venice, housing some of the best highlights in the city. One of the is surely your first stop, St. Mark's Basilica. 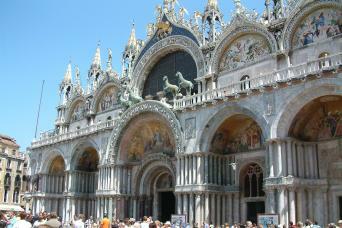 It is the biggest church in town and a real symbol of Venetian ancient wealth and power. Its opulent design, full of golden patterns and mosaics, earned it nickname Chiesa d'Oro (Church of Gold). Within this Basilica you will be able to admire the beautiful Golden Pall, its high altar retable, which is considered one of the best artworks of Byzantine art. St. Mark's Square also houses the famous Doge's Palace. Built in Venetian Gothic style, the oldest part of the palace overlooks the lagoon, while the courtyard faces St. Mark's Basilica. It used to be the residence of the Doge, the supreme authority of the former Republic of Venice, whose power and wealth is totally displayed by the imposing magnificence of the palace. By now, your 2-hour tour will be probably over. Anyway, no worries. You will surely have learned everything you need to know about these beautiful places and the magical city which houses them. Are you ready for this great advenure? All you need to do is contact us and book this tour... We will arrange for you the best Tour of Venice and St Mark’s Church of all times!